2013 marked my first trip to Gen Con! With 20+ games still unplayed at home, I wasn't planning to purchase anything, but I did hope to get the chance to see what's new... and play some that I haven't before. As soon as the dealer hall opened Thursday morning (while everyone else seemed to line up at Fantasy Flight!) I scouted out Academy Games to see if I could give 1775 a try. I've been considering this one for some time and got to play about 3/4 of a game before everyone else had a scheduled event to go to. I really liked it as much as I thought I would. I already own Washington's War, but have only played it once because we're not really war gamers. I like WW because we're able to have real-life generals lead their armies into battle and see historic events like the Declaration of Independence come into play and affect the game. I think 1775, however, will be my new go-to game about the Revolutionary War. 1775 has a Risk-like feel to it, with a lot of dice rolling (neither of which is a concern to me), but more importantly, it will be more accessible for my gaming group. Plus up to 4 people can play (in teams). I wound up ordering 1775 after we got back home. Tomorrow was on display right behind the 1775 table, but no demos were going on. (I was told only 4 copies of the game were still in stock). Just as my 1775 game ended, three guys asked to demo Tomorrow and were told they needed a 4th player. I would have stuck around but I had to head across the room to meet up with my girlfriend. 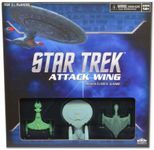 We were shown a demo of how ST: Attack Wing plays. I never played the Star Wars: X-Wing game but new enough about it to see the similarities between the two. This was the first game my girlfriend and I played together at the Con. It was described to us as being similar to Sequence, which we've played many times. I could see the similarities. We both enjoyed playing it, but having already owned Sequence, we passed on buying it. This was a game that interested me because of its time travel theme. We played about 3/4 of a game and I liked what I saw. I would consider it for a possible future purchase. I first saw this game in the window of my local gaming store, but dismissed it because it requires at least 3 players. The game is designed to play like a classic zombie movie like Night of the Living Dead, and each round of play is considered one reel. (I think a full game lasts three reels.) I played through one reel and barely managed to stay alive. It involves a lot of dice rolling (which isn't a deal breaker for me), but with Last Night on Earth and two Walking Dead games already in my collection, I took a pass on buying another zombie-themed game. This was the first ticketed event we took part in. 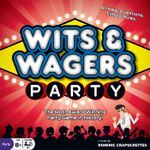 It seemed to be thematic, with characters from the Oz stories being moved to different locations from the Oz books, but I don't think neither my girlfriend and I nor the other couple we were playing with really got a grasp on how best to play our cards and what strategy to use. Because of this, there really wasn't much interaction between the players. It felt very much like a solitaire game (at least the way we played it) although by the end I did see how I could have played a card (like the Cyclone) to disrupt my opponent's plans. I would consider giving this one another look at some point in the future. We had tickets for this event, but we got to the table 10 minutes late and our spots were already given to someone else! This must have been the ONLY game we came across at the entire convention that started on time! Since the 9pm Illuminati game was a bust, we now found ourselves with three hours to spare before our Midnight "Werewolf" session was scheduled to begin. We wound up heading over to Werewolf early and managed to join the 10pm round of games. We've played this before with family (with about 9 people or so, maximum), but it's a whole different game playing with strangers in a group of 15 or more. I was a Villager in all three games I played. I managed to hang around a while in the first game before the Werewolf got me (one of the two wolves was my girlfriend!). I was lynched the first night in the second game and in the third night in the last game. I set aside most of Friday for another game in the dealer hall, and came across a demo of Mascarade that was about to begin. Once it started, I realized I had heard a little bit about it before - I think it was mentioned a few weeks ago on The Dice Tower podcast. The man who demoed Mascarade for Asmodee was great, explaining it well and really getting everyone involved in the game. It really took a lot of concentration to even attempt to figure out everyone's secret roles. And then as soon as you do, their cards will likely be swapped with someone else's! It was a fun game that we would consider purchasing eventually... but I can't even think about trying to play it with 13 people! Our demo group had 7 and that was hard enough! This was definitely one of the surprises of the Con for us. If you like hidden role games like Werewolf or Resistance, I'd recommend giving this one a try. The combat part of the game is pretty straightforward (just rolling a dice or two and giving up a supply marker). This is definitely under consideration for a future purchase. I didn't make it to the Flying Frogs booth Thursday so I stopped by early Friday morning. I expected to see the Crimson Hand expansion for Fortune & Glory but was surprised to see a second expansion, Treasure Hunters. I've owned Fortune and Glory since it came out - but have only managed to play a few solo games with it, so I was hesitant to pick up an expansion without really playing the base game. 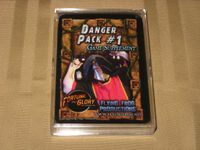 By the end of the Con, however, I did pick up the Danger Pack Supplement and the Road to Cairo Supplement. Even better, after we got back home Monday afternoon, my girlfriend and I finally played F&G. I lost - but she liked it and said she'd play it again, which is always a good sign! Like all Flying Frog games, Dark Gothic is rich in theme. It's based on the A Touch of Evil board game, which I really liked but my girlfriend didn't care for too much, so this one may wind up being a pass - at least for now. 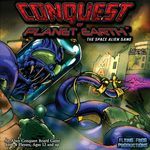 Before we left Flying Frog, we were invited to join a quick game of Conquest of Planet Earth. I had known about this one for a while, but never really took a good look at it. It was a lot of fun! Again, it was rich in theme, but instead of a supernatural element, it had a 50's sci-fi movie vibe to it. I think the part that won me over was when I took over a town by defeating the military's weapons and then captured the movie star who had added another resistance fighter to the battle. (We played with the Apocalypse expansion). I wound up ordering this after I got home. We began the day's ticketed events with a game of Cartoona. I was trying to avoid getting tickets for games that were going to annoy my girlfriend by being too complex, but this one may have been a bit too simple. (I thought my girlfriend would like the tile-laying aspect of it, since she enjoys Carcassonne.) Cartoona was a well-constructed game - and had a bit more strategy to it than I expected - but it wasn't for us. There are some "take that" cards that you can play against your opponent to make them lose points and tiles, etc., but I didn't have the heart to play them against our opponents - two little girls who were probably 9 and 13 years old. 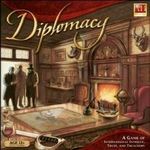 After hearing about Diplomacy for years and years, I signed us up for an Introductory game. We all picked it up pretty quickly but only managed to get through three years before we called it quits - not because of the game, but because we were all exhausted. There didn't seem to be too much (if any) backstabbing in our game, but I could see the seeds starting to form. Germany was trying to keep the peace with everyone but was slowly being squeezed out. As France, I was strengthening my army and moving east, while Italy was losing the battle with Austria to avoid being eliminated all together. 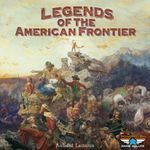 Saturday morning began with a scheduled event - a playing of Legends of the American Frontier - with designer Richard Launius himself showing us how to play. This game is strong in theme, with each player taking on the role of a frontiersman, soldier, etc. just after the Revolutionary War. During the course of the game, players go off to face challenges which can earn them wealth, fame, etc., increase their skills and abilities and win victory points - which also (by game's end) creates the character's life story. I, for instance, was a frontiersman who was raised in the wilderness, educated at Harvard, opened the first mining company in the Rocky Mountains, but got branded as a poacher from a group of French trappers (among other things). I backed this on Kickstarter as soon as I got home. 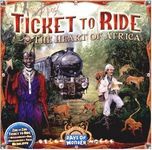 Our next scheduled event was playing on the Africa map for Ticket to Ride. My girlfriend and I both played the original Ticket to Ride before, but the other player who joined us did not. Sure enough, he wound up winning! It felt like this version was closer to the original TTR than the Europe map (which I've only played on the iPad.) Although we probably weren't using the terrain cards to the best advantage. 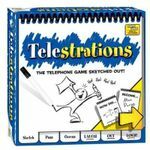 Our last scheduled game event (before we took the Haunted Walking Tour of Indy) was Telestrations. But it almost wasn't... we showed up at the table with our 6pm ticket, just as the team was packing everything up! They didn't know why a 6pm event was scheduled (they thought they were finished for the day), but they stayed around to play one round with us. 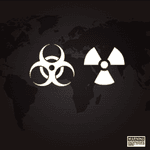 Our first pick was Nuclear War, but my eyes just glazed over the instructions and I wasn't in the mood to try it. Next up was Star Trek: Catan, but I realized we would have needed a third person and put it back. 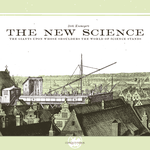 That's when I found The New Science. I was shown a brief demo in the dealers hall on Thursday and thought it looked interesting. It had some worker placement elements that were similar to Fresco (which my girlfriend likes) so I decided to give it a try - taking a chance that the length of the game wouldn't be an issue. Before we got set up, another game came over and said his group had been waiting two hours for The New Science to become available and asked if they could join our game. Before we knew it, there were five people playing the game and we all had a great time. My girlfriend even liked it - and wound up staying up till 1am to finish the game! We managed to get two games in before our next scheduled events. We lost the first game when the building collapsed, still needing to rescue at least one more person. Our second game was a success, however! My last scheduled event of the Con was a DC HeroClix Battle Royal. I'm a comic book fan (more DC than Marvel) but began collecting both lines for several years after HeroClix first came out. I later realized that I was spending a lot of money on Clix - and never playing with them - so I stopped collecting. But I wanted to give the game one more try, so I signed up for this event - even though the last time I bought or played Clix was before the character cards were added to the game! Anyway, I went into this event thinking I was going to get quickly beaten by a group of overly-competitive HeroClix players. Well, I did get beaten - pretty easily - but the three guys I played with couldn't have been nicer. They explained the process of the pre-game draft and answered all my questions when I needed a refresher. If I had one problem with the event, it was that we were all left to our own devices. If I remember correctly, the game was billed as no experience being necessary to play, but I could see how someone who had never played before could have walked away disappointed. While walking around the hall during the convention, there were several games I stopped to watch being played but didn't have an opportunity to sit down for a demo. ROBINSON CRUSOE looked like it was going to be a fun game. TRAINS seemed to be Dominion with a board. Not sure if would be interested, but I'd have to actually give it a try before I write it off. I want to like STAR WARS THE CARD GAME, but (if I understand it correctly) I don't think I can get past battles that don't appear to be very thematic, like one between a Rancor and an X-Wing fighter, for example. Plus, it looks as if it would take a serious investment to put together a fun, competitive deck. That's one of the reasons I gave up on the Lord of the Rings Living Card Game. THE PHANTOM SOCIETY looked like it might be a light, interesting game. I also got a very brief description of KING OF TOKYO and TAPPLE. I'll wrap up this List by saying I had a great time at Gen Con - the other gamers, the convention staff and the people all around the city could not have been nicer! I read before leaving that I shouldn't expect to do everything I wanted - and that was right. 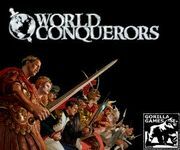 I never took a look at the auction or got the chance to try games like BSG, Lords of Waterdeep, Defenders of the Realm, Duel of Ages, Mice and Mystics, The Manhattan Project, American Legends of the West, Cards Against Humanity and Smash-Up... but I guess that's what Gen Con 2014 will be for!